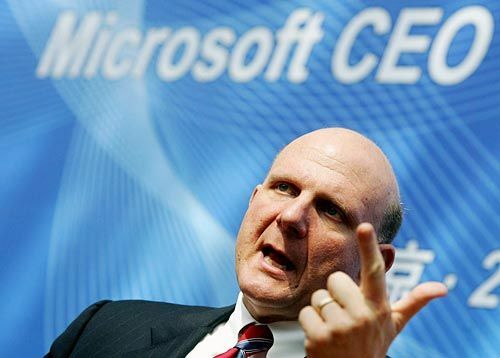 With Superior Margins and Performance for 2013, What is Not to Like About Ballmer at Microsoft? The recent announcement that Steve Ballmer would be leaving Microsoft (NASDAQ: MSFT) after 13 years after its chief executive officer has led to many articles about his “mixed legacy.” While there will always be two sides to any issue, particularly something as prominent as being the head of the premier software company in the world, the shareholders of Microsoft have little to complain about Ballmer based upon the stock performance in 2013. For the year, Microsoft is up more than 30%. Over that same period, the Dow Jones Industrial Average (NYSE: DIA) has risen by 16.04% and the Standard & Poor’s 500 Index (NYSE: SPY) by 17.71%. For other tech giants, Apple (NASDAQ: AAPL) is down 3.68% for 2013. Apple’s performance would be worse, but Carl Icahn has put it into play. Intel (NASDAQ: INTC) is up by just over 11% for the year. It is difficult to image how Steve Ballmer could have left Microsoft in better shape based on its margins. For Microsoft, the profit margin is 28.10%. While the profit margin is not everything, the gross margin and operating margin for Microsoft are just as imposing. The gross margin is 74%. The operating margin is 34.40%. It is difficult to imagine a more compelling set of margins for a company the size of Microsoft (market capitalization of about $285 billion). In addition to the strong performance this year, Ballmer has also ushered in a more shareholder-friendly Microsoft that now pays a dividend. While the average dividend for a member of the Standard & Poor’s 500 Index is around 2%, it is 2.69% for the software giant based in Redmond, Washington. With its low payout ratio, there is plenty of cash to raise the dividend or initiate a share buyback program to reward shareholders. Over the period of Ballmer’s reign, The Great Recession decimated the world’s economy starting almost a decade ago. The recovery from The Great Recession is not even close to being complete. But the share price for Microsoft has more than doubled since its low. Every CEO is far from perfect, but Stever Ballmer has left the shareholders at Microsoft in a much better position.